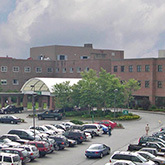 Women of all ages can receive expert women’s health care, including screenings, Pap smears, birth control, and minimally-invasive gynecologic surgery at Central Vermont Medical Center in Berlin, VT. Located on the first floor, just off of the main hospital lobby. The women’s health experts at Central Vermont Medical Center provide compassionate, personalized care for women at every stage of life. Our OB/GYNs, nurses, and staff collaborate to care for women’s physical, mental, and emotional health. Additionally, a doctor is on-call 24/7 to care for patients with women’s health emergencies. Women who visit our office can access a team of specialists as well, including a reproductive endocrinologist and a psychotherapist who have the expertise to educate and support women to help achieve optimal wellness. Click here to learn more about our prenatal care and the Birthing Center at CVMC. SBIRT substance abuse counseling - A comprehensive, integrated, public health approach to the delivery of early intervention and treatment services for patients at risk of developing substance use disorders. We are available to ALL patients at every stage of their journey. We provide cervical cancer screening, contraception, pregnancy planning and other reproductive health needs served in our office. If being seen in a ‘women’s healthcare’ office is not comfortable for you, we are happy to make other arrangements to make sure that your healthcare needs are met. We welcome calls for open conversations and candid discussion. Your comfort is our priority. HER OPTION: Cryo-ablation surgery to cauterize the lining of the uterus. Hysteroscopy (both diagnostic and operative): Visualization of the uterine lining and removal of endometrial polyps. ESSURE: During a hysteroscopy inserting the essure device in each of the fallopian tube ostia to produce permanent female sterilization. Emergency situations are given immediate attention. We provide 24-hour physician coverage for emergencies. After regular office hours, call the office number, and you will be given instructions on what to do. In extreme emergencies, please call 911. When you arrive at the hospital, please identify yourself as our patient. We will notify you of all lab and x-ray results. If you have an appointment scheduled shortly after your test, we will go over the results with you during your office visit. We may also contact you by phone or mail. If you have not heard from us within two weeks of your test, please call our office. Our practice requires payment at the time services are rendered. We will directly bill Blue Cross/Blue Shield, Medicaid, Medicare, MVP, and Cigna. We also accept cash, check, and MasterCard/Visa. We may bill other insurance companies as a courtesy to our patients; however, payment is ultimately your responsibility. We do offer a Financial Assistance Plan for those who qualify. Co-pays are due at time of service. Central Vermont Women’s Health wants to make the process for refilling prescriptions as easy and efficient as possible. We want you to get the prescriptions you need with as few phone calls as possible. Even if your bottle says no refills, call your pharmacy first. We work with them daily to make sure that you have the medications you need when you need them. To prevent patients from running out of their medications, most pharmacies fax a refill request to us when your prescriptions need to be refilled. This happens behind the scenes automatically in some pharmacies. Therefore your new prescriptions may be at the pharmacy already. You must leave your name, date of birth, medication name, dose and frequency, and a phone number to reach you so we can insure the correct medication is processed for the correct patient. We receive many requests daily so we must have at least 24 hours to process prescription refill requests. Call your pharmacy and let them know if you are out of medication and ask them to request a refill. You may be overdue for an appointment. Our policy is that anyone taking medications must be seen once a year at least (more if recommended by your provider). Your insurance may require a Prior Authorization, which takes a minimum of 2 business days. It may be too soon for a refill. If it is not time to get a refill, your insurance company may not cover the cost. PLEASE notify us if a friend or relative is picking up your written prescription. That person may need to know your date of birth and have an ID. comments about how the process works for you. Thank you. Learn more about our full range of services, ask questions, meet staff members and tour our facility. CVMC offers ongoing sessions of prenatal education and birthing classes for women starting their 7th and 8th month of pregnancy. Click here for more information and full 2019 schedule.